Energy Management: Psychrometry WTF (without the fear) ! Psychrometry WTF (without the fear) ! Fear of the unknown is extremely reasonable. 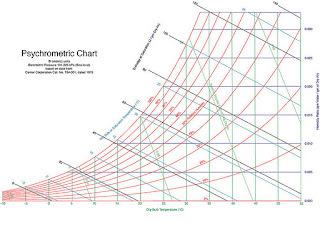 This chart strikes fear into many young engineers and technicians, but it needn't. 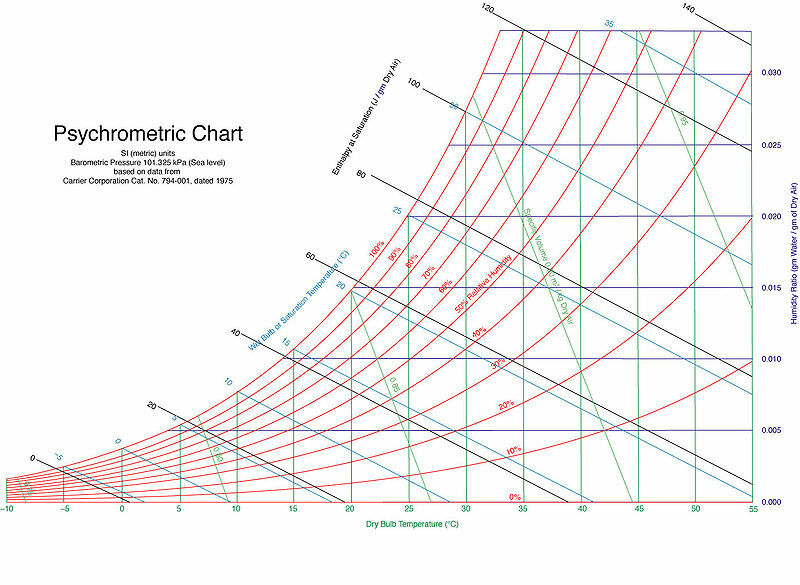 Psychrometric charts look very complex, but they were first drawn up to make things easy ! Looks tricky - click for a better look ! Someone forgot to tell college lecturers ! We are going to eliminate the fear by breaking it down into really easy bite-sized chunks. I will be completing this in several steps, so please bear with me as I add them over time.